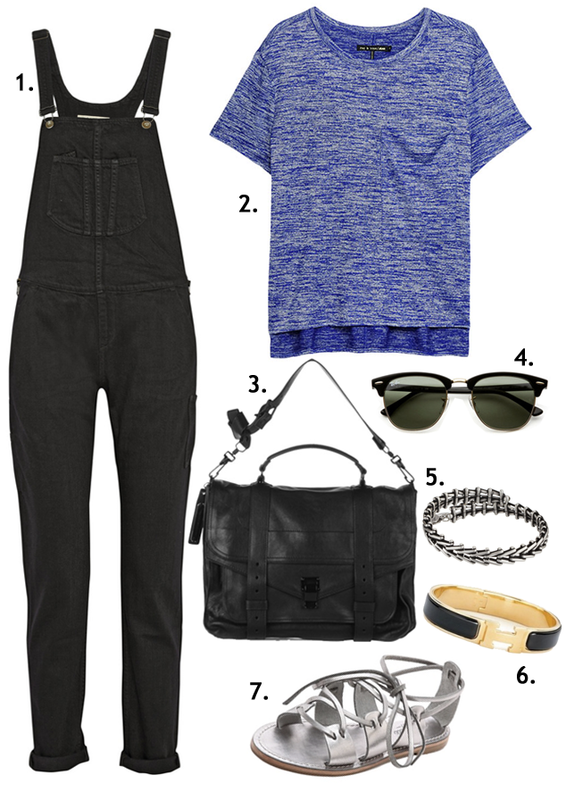 The overall trend is a hotly debated topic- can you, or can you not, pull off overalls? I'm going to go out on a limb here and say that every woman can rock the overall trend - and if you haven't tried them yet, you must. Overalls are incredibly comfortable and can be worn with virtually anything. The other day I sported my black overalls with a Rag and Bone t-shirt. I opted to spice up the outfit with a pair of metallic gladiator sandals. It was the perfect, "we're still in a polar vortex so it hasn't been that hot of a summer" outfit. I beg those overall naysayers out there to stop thinking of yourselves as women who cannot wear overalls and start thinking of yourselves as women who can do anything - including rock a pair of overalls. And if you just think they're ugly... well, that's a different story.